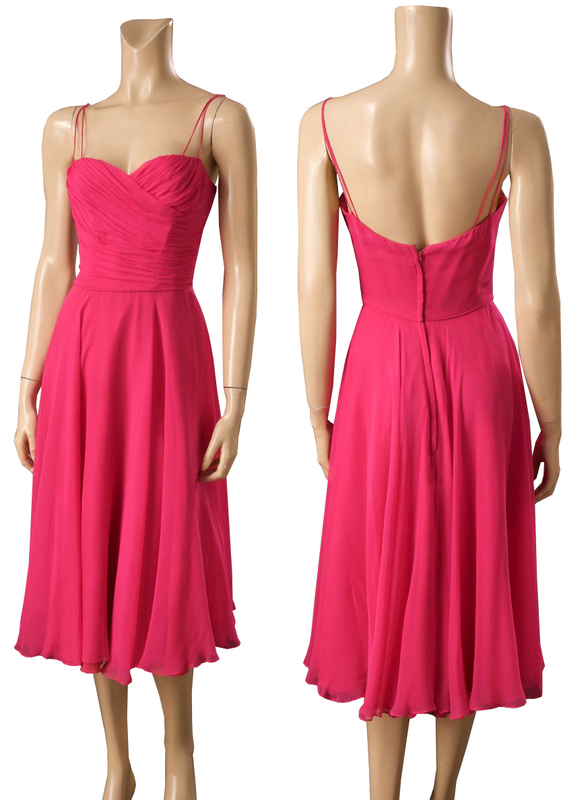 Look feminine and girly in this spaghetti strapped dress. The straps are dual and the bust and the bodice are ruched. The skirt has been kept simple and it runs till the knee with little frills. 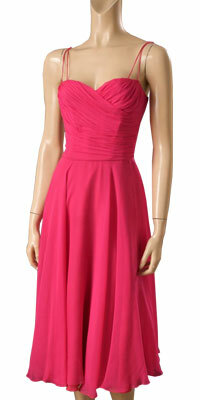 It can be worn to any night or evening parties.